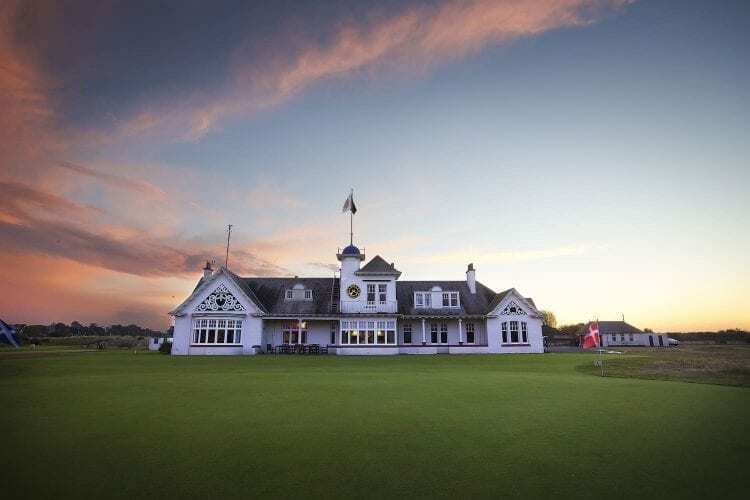 No plaque exists on either the 2nd or 17th fairways at Panmure Golf Club commemorating the time spent there by a golf legend more than 50 years ago. And that’s just the way Ben Hogan would want it—keeping the focus purely on golf at one of Scotland’s finest yet lesser-known courses. Panmure was already more than a century old when Hogan arrived in 1953 to prepare for the British Open just down the road at Carnoustie Golf Links. He practiced at the layout primarily for its solitude and privacy, and two weeks of work resulted in a four-stroke win that completed the Triple Crown in the only Open appearance of his career. No winner has taken that practice route during the four Opens held since at nearby Carnoustie—the 9th green sits approximately 1,000 yards from Panmure’s distinctive clubhouse. Nor do many visitors—only an estimated 2,000 annually—stop by en route to the more famous links. It’s their loss really, for little has changed here since that summer of 1953: Just as Hogan found it, the fairways full of plush, tight turf still lead to challenging green complexes. 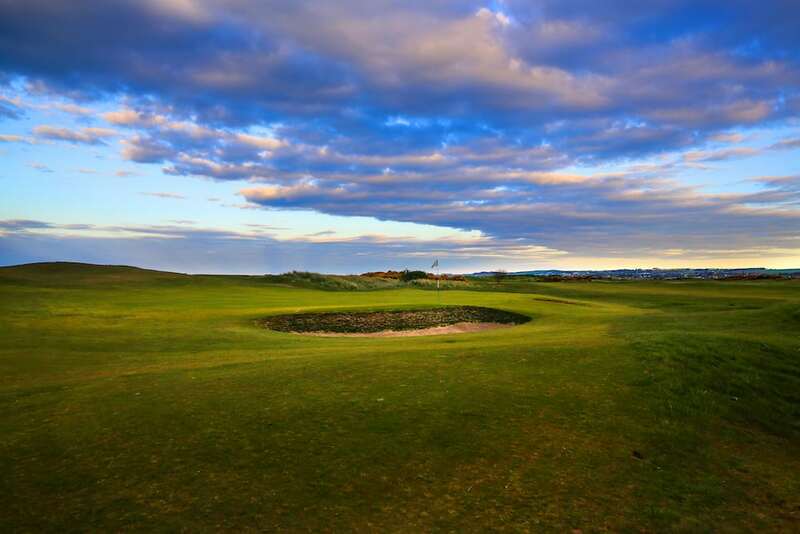 Located in Barry, 45 minutes north of St. Andrews on Scotland’s east coast, Panmure dates to 1845, when the club leased land owned by Lord Panmure in nearby Monifieth and built a 10-hole course that evolved into today’s 18-hole Monifieth Medal course. Fifty years later, an assortment of wealthy and influential Panmure members, many of whom had made their money from the Indian jute (a fiber used for manufacturing purposes) industry, decided they wanted their own golf facility. One option was to purchase Carnoustie, in financial woes at the time; another was to take over the nearby Barry Links. Surprisingly, they passed over the former, declaring the links as too far away. So they purchased Barry, renaming it Panmure. What is certain is that Scottish course architect James Braid submitted a course improvement plan in 1922, the basics of which were implemented after the purchase of additional land 15 years later. More recently, Donald Steel renovated the 14th hole in 1988, turning a straightforward par 5 with a severe, three-tiered green into a gentle dogleg left with a more subtly sloped green perched on the edge of a tree plantation. Not a brutally stern test like the longer Carnoustie, the 6,511-yard Panmure layout instead takes it toll via tight fairways accented by an almost constant wind from the west. On seven of the first nine holes, that natural element is in the golfer’s face. Fortunately, the six homeward holes play in the opposite direction. But no matter which way the wind blows, simply finding the fairway stands players in good stead here—gorse, rough and Lodge Pine trees, planted right after World War II, stand guard on many fairways. Panmure qualifiers ranging from Doug Sanders in 1970 (the year he lost a playoff to Jack Nicklaus at St. Andrews) to Luke Donald in 1999 have faced a collection of very good par 3s, starting at the 147-yard 5th, which has a punchbowl-style green. The most famous hole is the 413-yard 6th, largely due to the praise—as well as a recommendation—Hogan bestowed upon it. He suggested a bunker short and right of the small, undulating green; it remains in place today. If Carnoustie’s 6th is Hogan’s Alley, Panmure’s counterpart should be known as Hogan’s Hole. Two blind shots are likely on the 360-yard 8th unless the tee shot flirts with the right edge of the fairway, from where a glimpse of the green is provided beyond two large hills. Equally imposing can be the 399-yard 12th, played into the prevailing wind and requiring a well-struck approach shot that carries the meandering Buddon Burn crossing in front of the green. Panmure’s longest hole, “Lucky Daddy,” is the 535-yard 14th, altered two decades ago. The current tee area once contained a hill from the top of which four members surveyed the existing links more than a century ago before deciding to purchase it. Bordering this hole and within sight of many others is the main London-to-Aberdeen train line. The clacking roar can add a distraction on the home stretch, which features the monstrous 234-yard 15th and a trio of narrow par 4s measuring 382, 401 and 460 yards. While unaccompanied visitors are now welcome, Panmure was intensely private until the 1980s. Still, Panmure has played an integral role in several important milestones of the game. Members launched the first professional tournament, held at Carnoustie in 1867, and contributed funds for the creation of both the British Amateur and the Ryder Cup. Panmure’s strict guest policy had prevented visitors from marveling at the remarkable clubhouse, which dates back to the early 1900s and was modeled after its counterpart at India’s Royal Calcutta Golf Club—numerous Panmure members were descendants of Royal Calcutta founders.